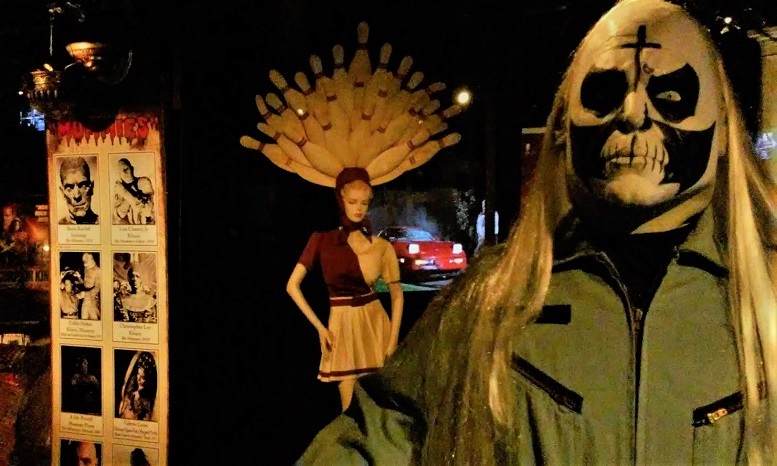 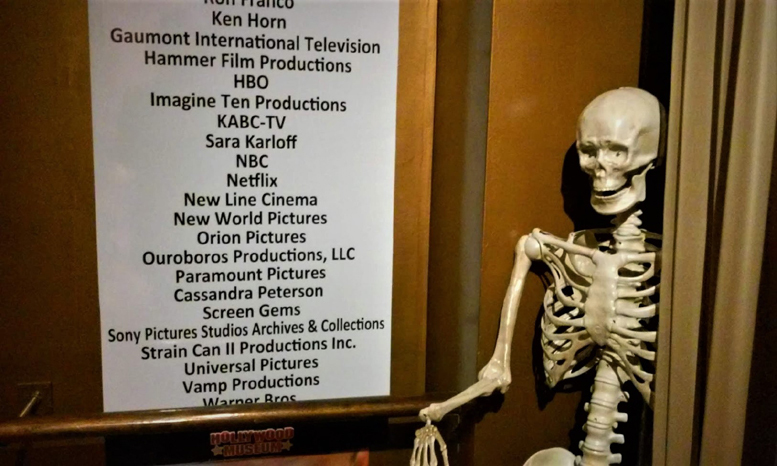 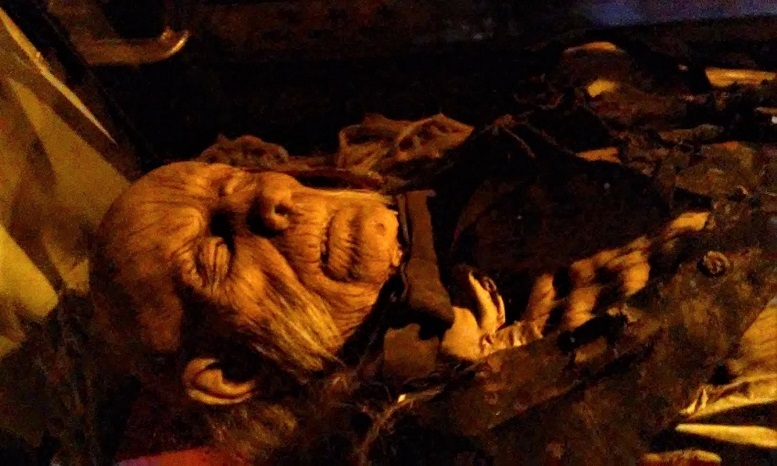 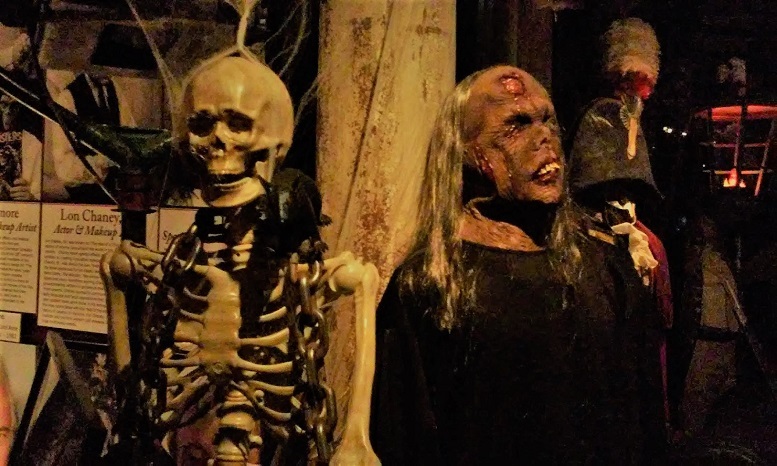 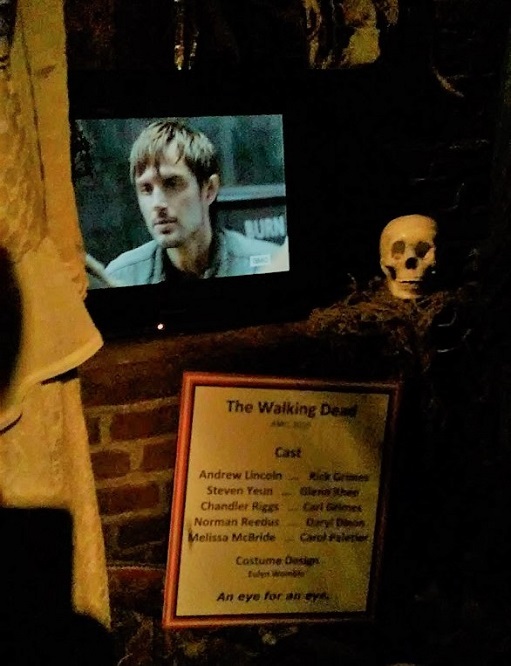 Though basically a year-round attraction rebranded for Halloween, Hollywood Museum’s Dungeon of Doom offers more than enough posters, props, photos, and costumes to satisfy hungry horror movie fans. 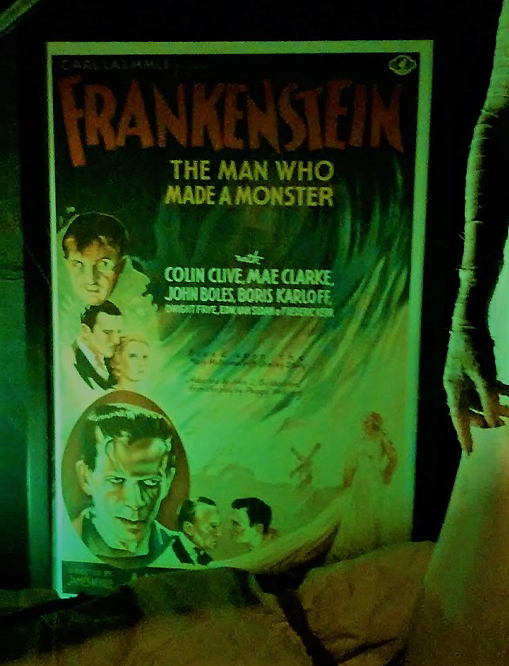 Unfortunately, the attraction loses one-half star for erroneously captioning a pic of Christopher Lee as Dracula, misidentifying him as Frank Langella! 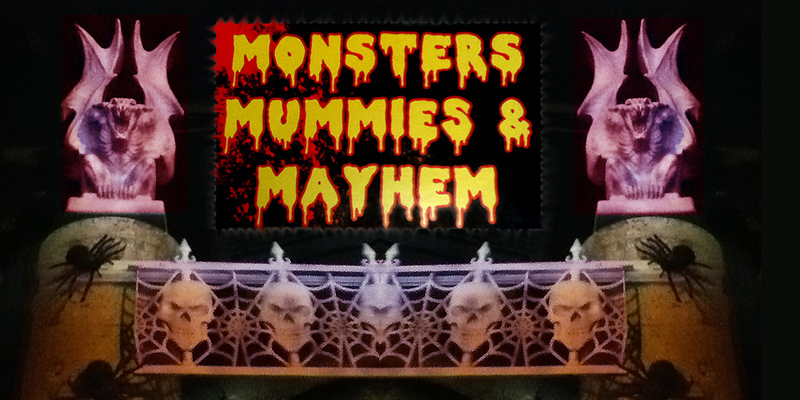 Monsters, Mummies & Mayhem Halloween 2018 Dates: Guests wearing Halloween costume on the weekends of Oct. 27-28 and Nov. 3-4 receive $5 off the regular admission price. 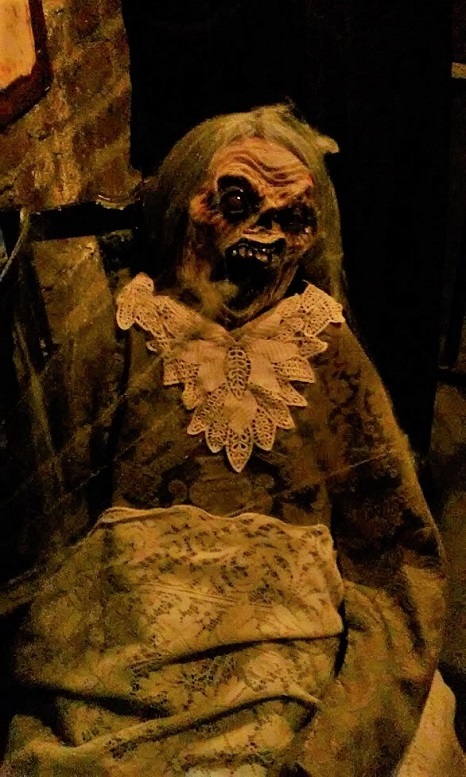 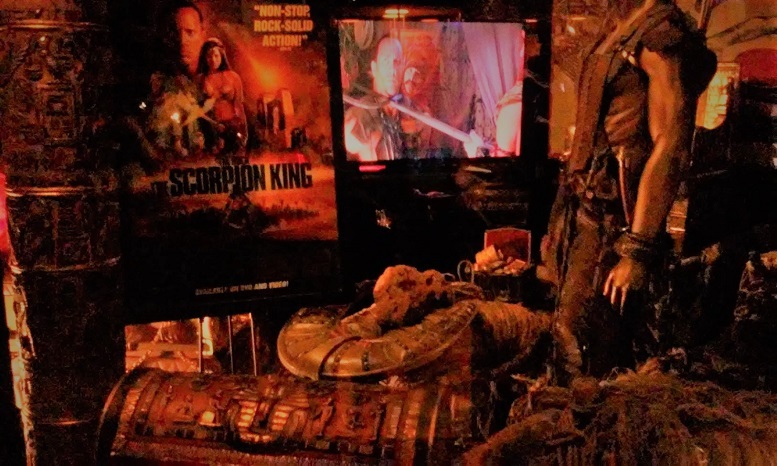 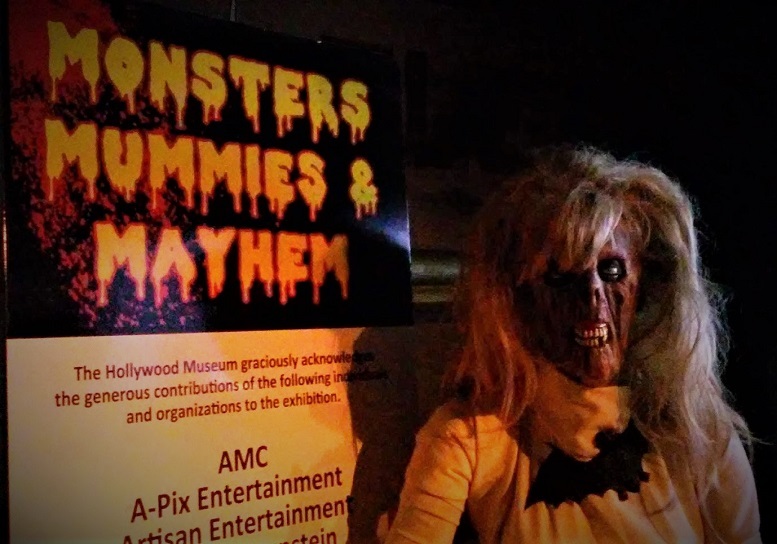 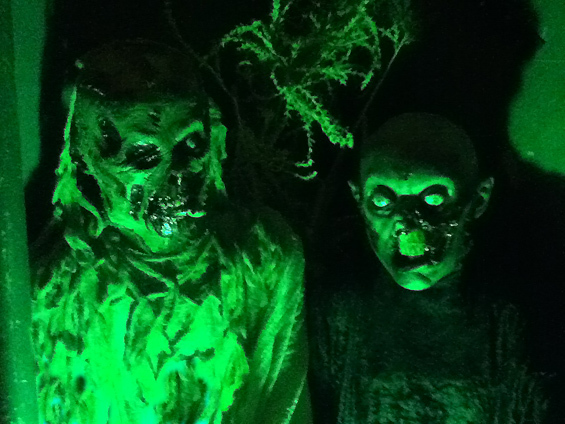 The Dungeon of Doom operates year round, but during October the Hollywood Museum re-brands the collection of horror movie memorabilia, presenting it as a Halloween attraction under the banner "Monsters, Mummies & Mayhem." 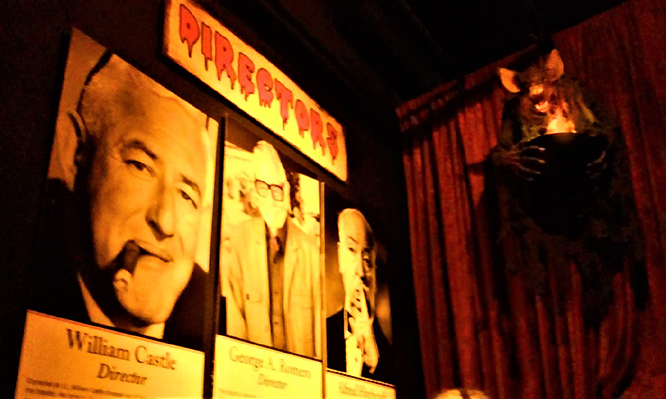 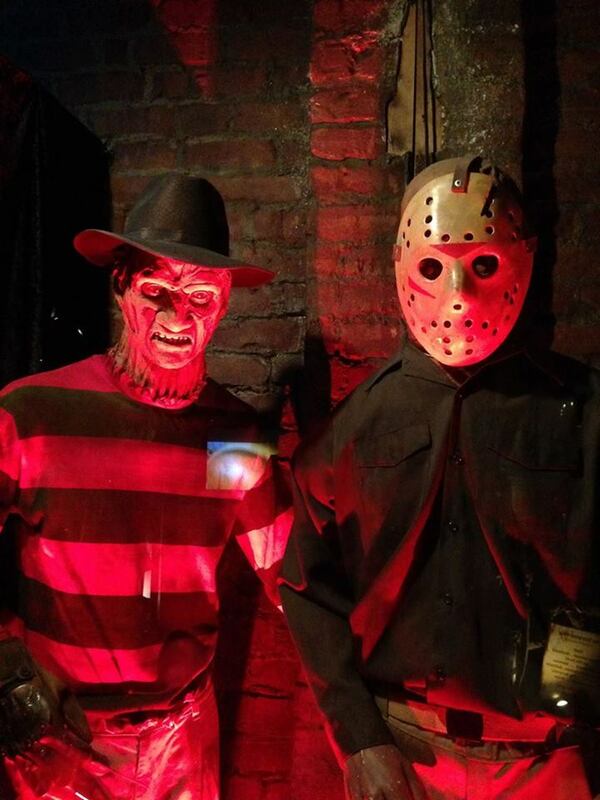 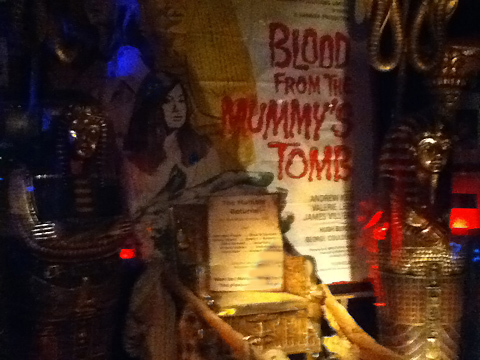 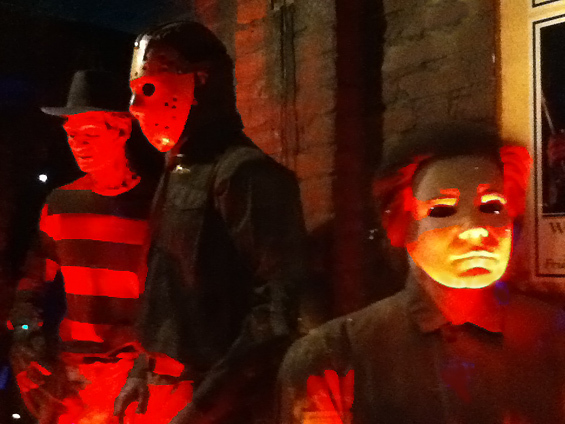 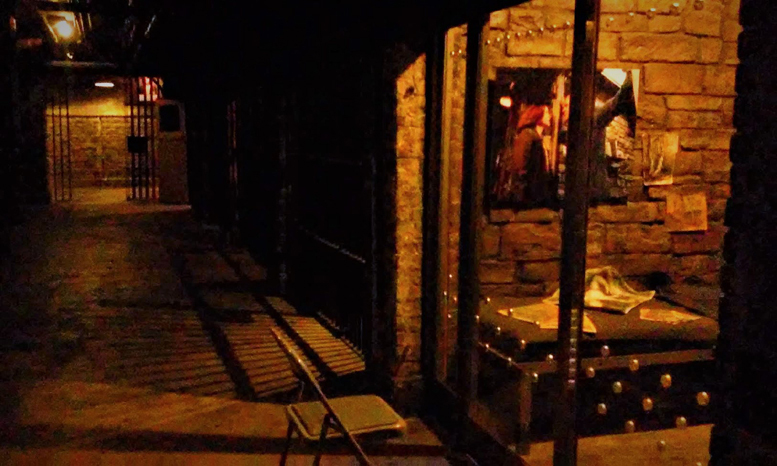 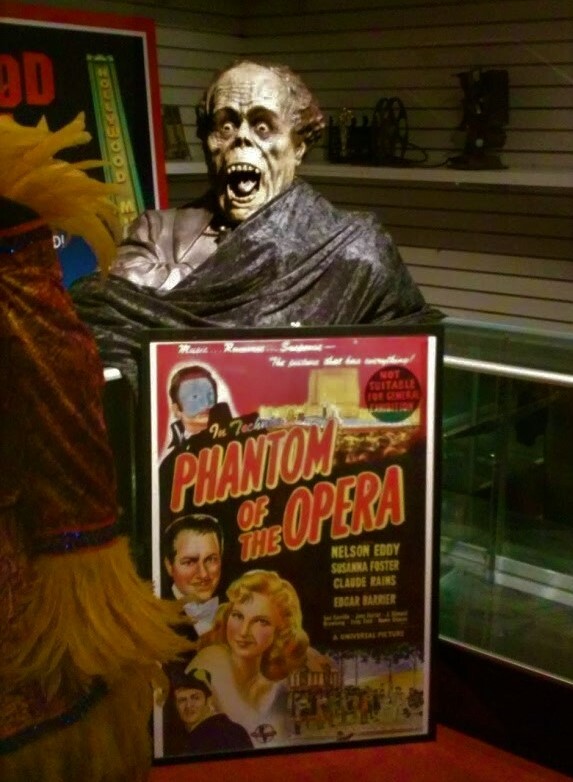 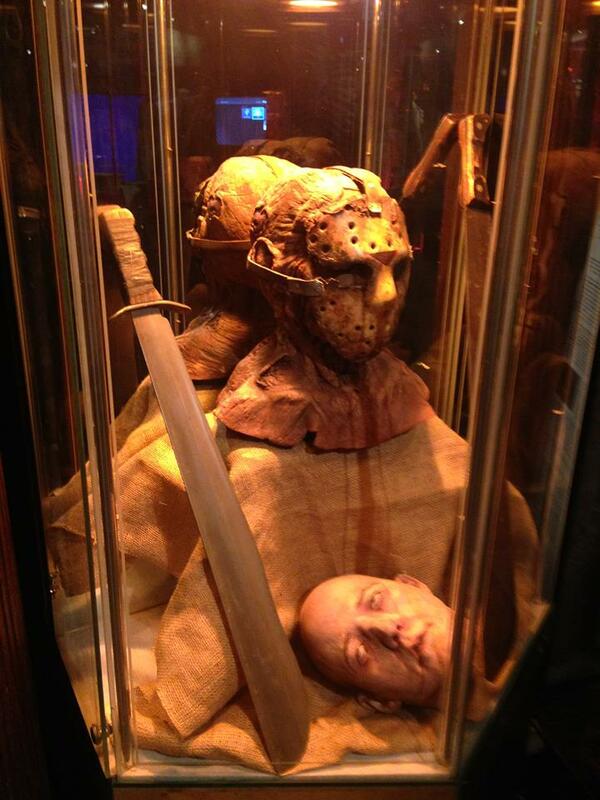 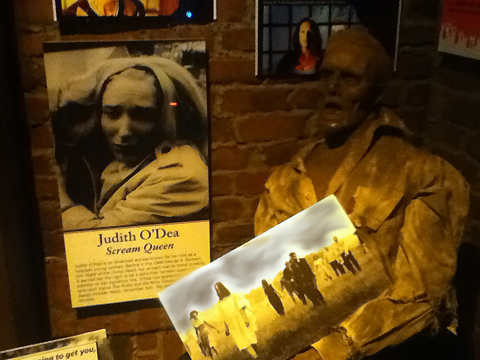 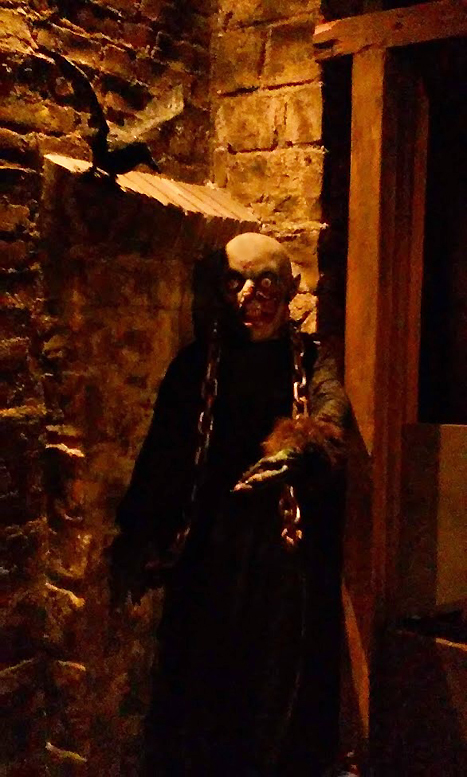 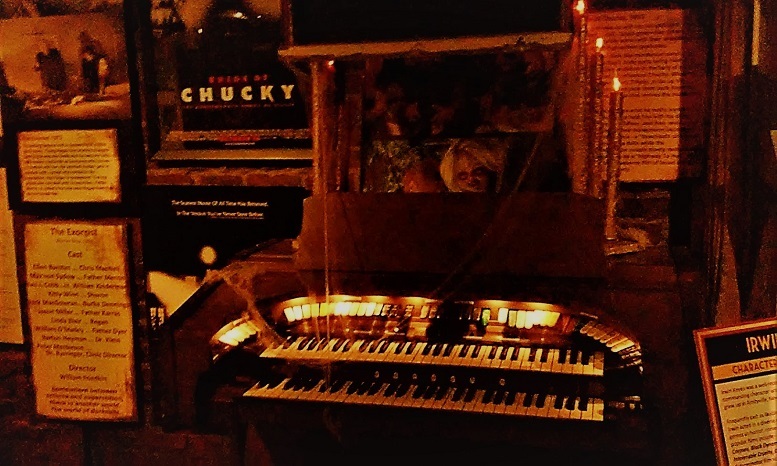 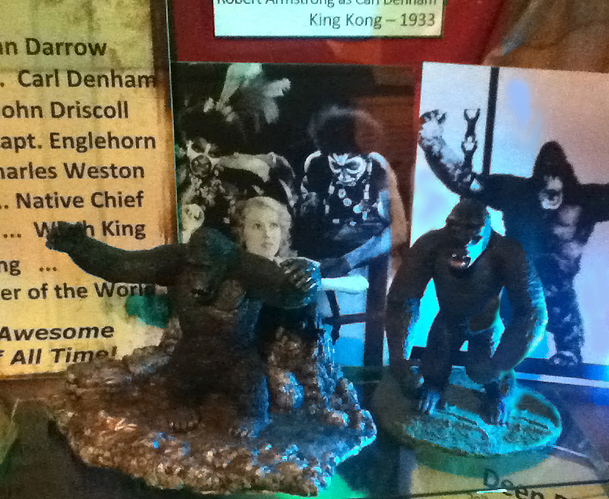 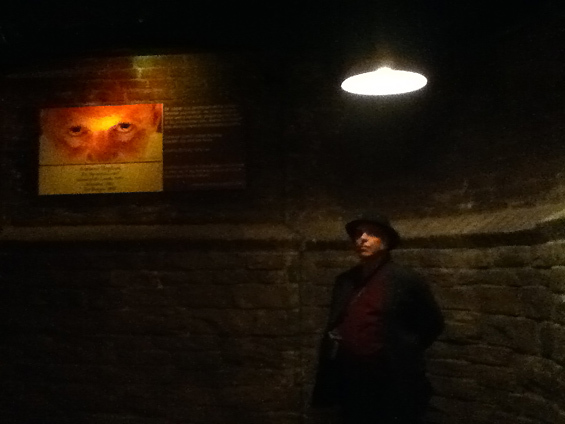 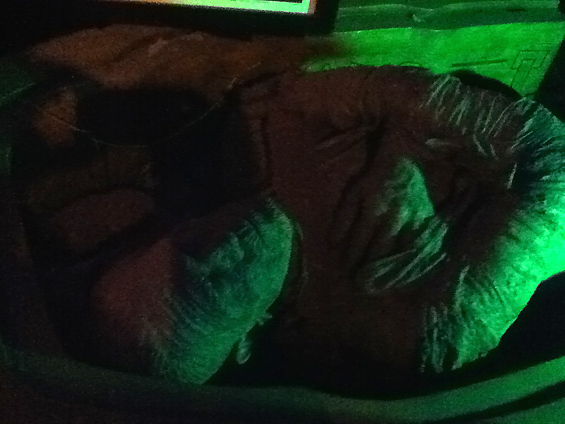 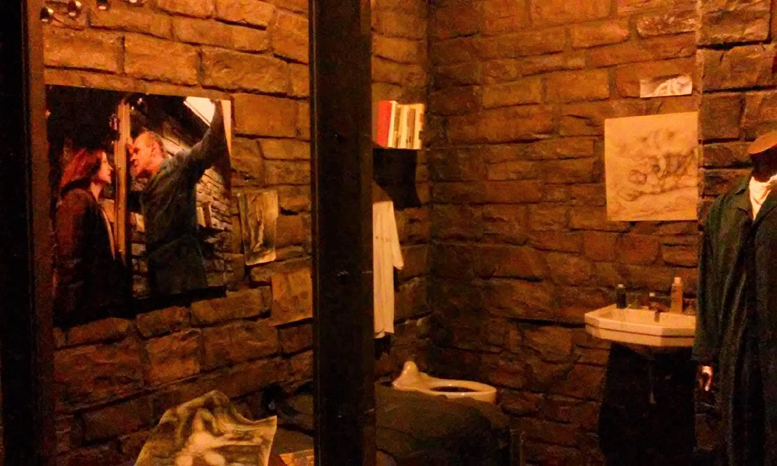 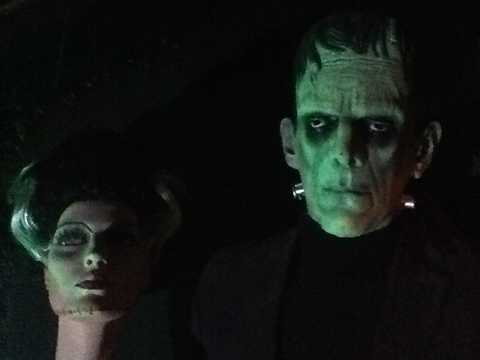 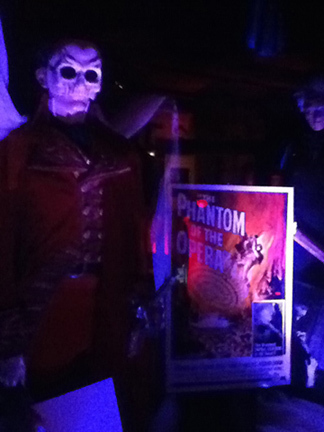 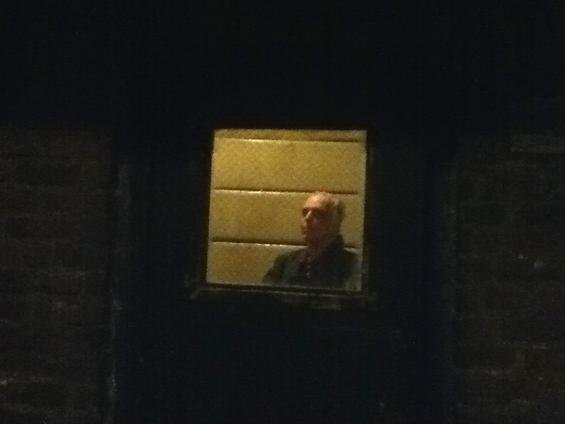 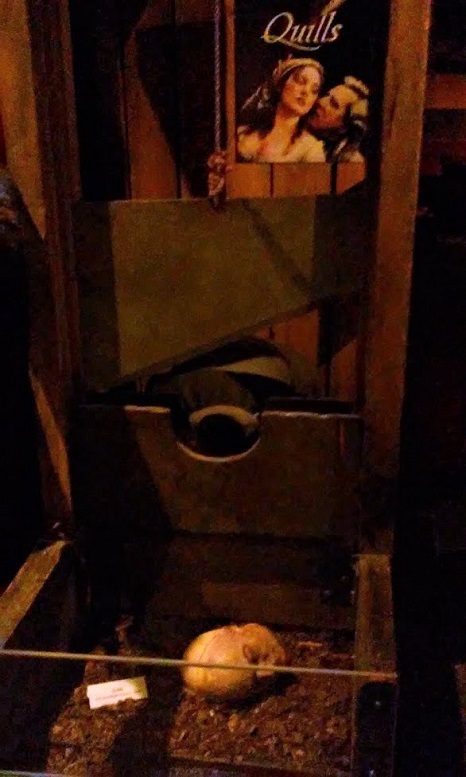 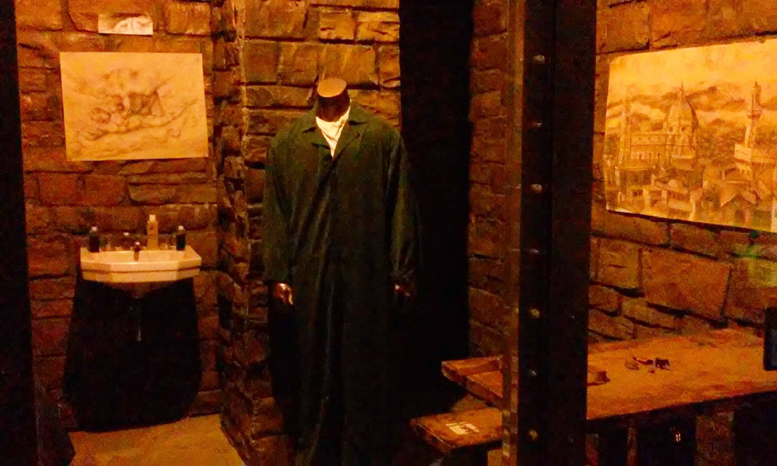 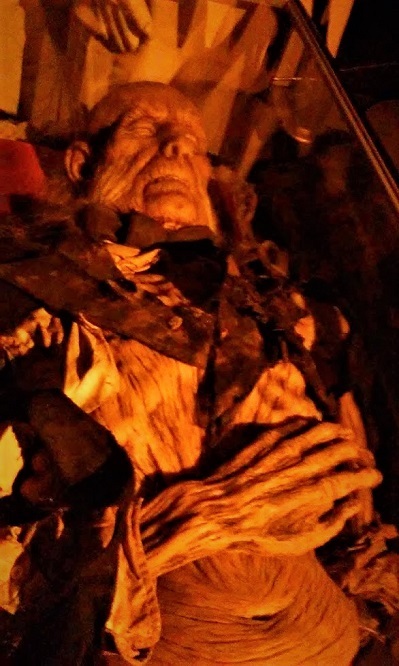 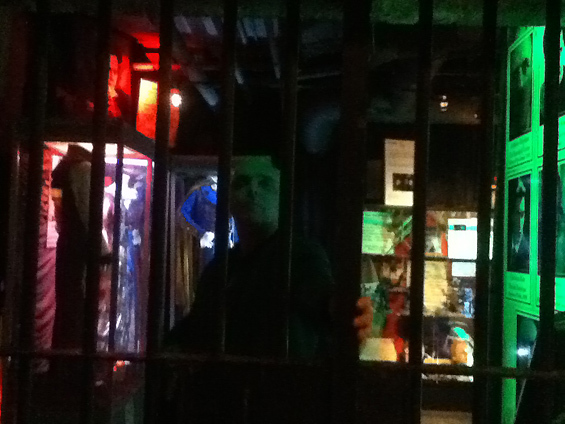 Located in the basement, the Dungeon of Doom features props, posters, photographs dating from the dawn of the horror genre to current times, plus full-size figures of Elvira, Vampira, Freddy, Jason, Frankenstein, the Bride of Frankenstein, along with Hannibal Lecter's prison cell from Silence of the Lambs. 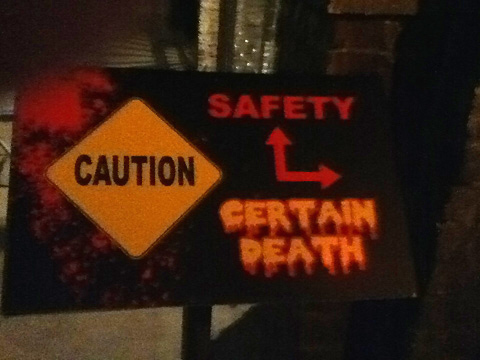 For Halloween, a live element is sometimes added; typically, on October 31, visitors in costume receive discount admission. 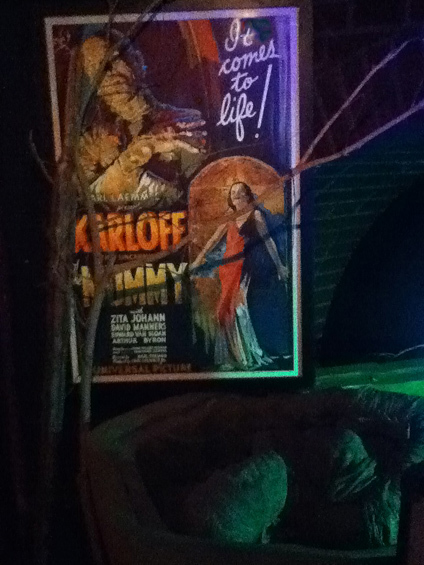 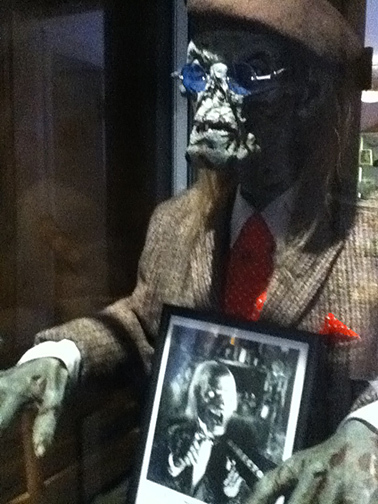 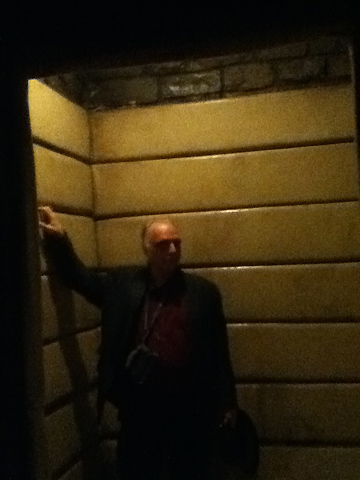 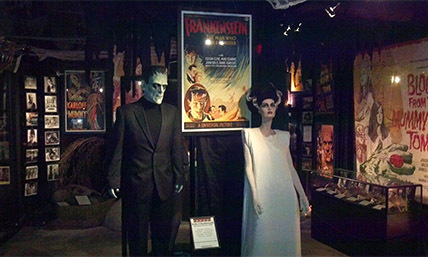 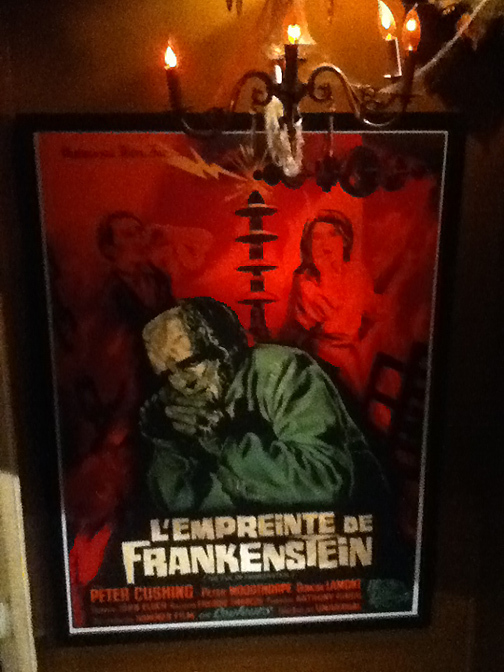 The upper level of the Hollywood Museum is not without interest for fans of Fantasy Films, Horror Movies, Sci-Fi Cinema. 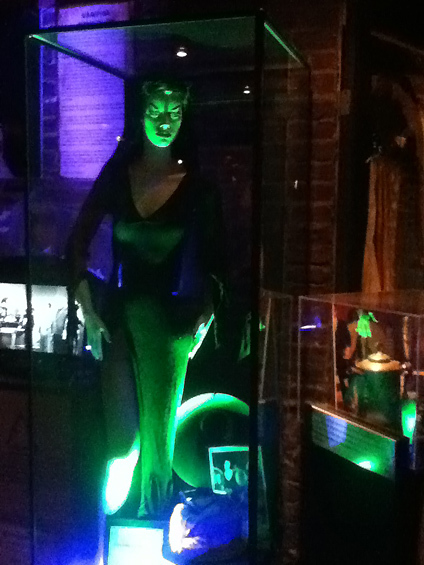 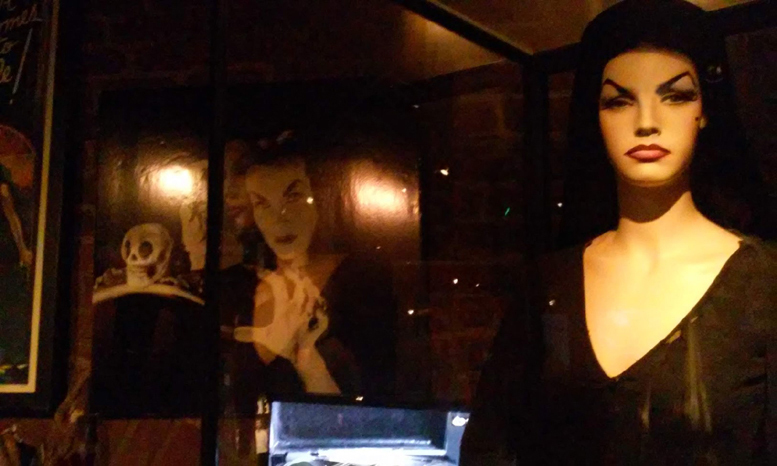 Over the years, there have been exhibits devoted to Batman; Amalgamated Dynamics, Inc; Harry Potter; Planet of the Apes; Monsters Inc; Elvira, Mistress of the Dark; and many others. 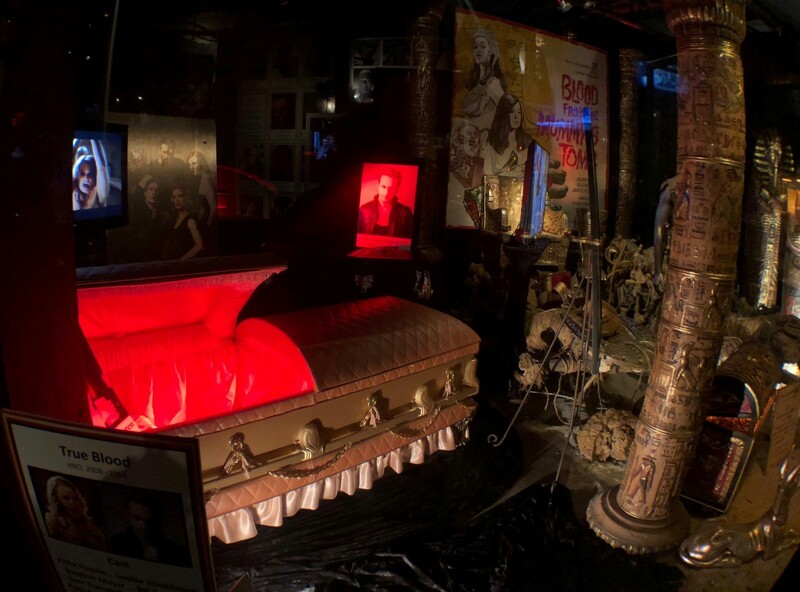 See more of the Hollywood Museum here.